This weekend we celebrate forty years. That is something. Ruby, Ruby, Ruby, will you be mine? 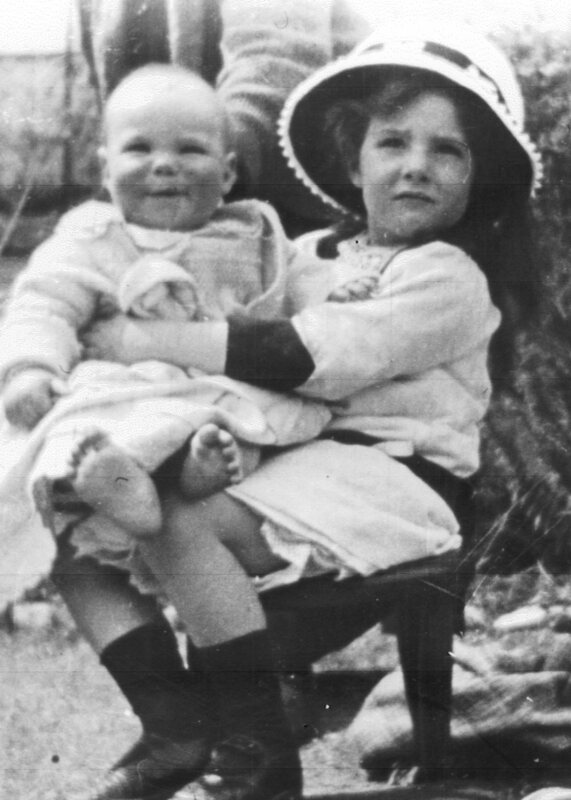 Like Vladimir Nabokov, as a small child I had that greatest of luxuries, an English nanny. Whereas he had a ‘bewildering sequence’ of over half a dozen, called nurses and governesses, I had just one. We didn’t call her a nanny, we called her a housekeeper, but she did plenty of nannying, nursing and governing. Poor Nick got a lot of stick, blame, and disapproval while I, two years younger and dastardly cute, was (I deduce) spoiled rotten by Elsie. My apologies to you, Nick, I must have been a real pain in the arse. He shall have but a penny a day because he can’t work any faster. I took that on as a personal reference, with quiet resignation. I have never really considered myself capable of earning what might be called money. No point trying, was my attitude. My father was too successful for any of us to rival. Sugar and spice and all things nice, that’s what little girls are made of. Slugs and snails and puppy-dogs’ tails, that’s what little boys are made of. That one at least is true. In October 2006 I made use of a two-month amnesty on illegally-held firearms to hand in to the guards my grandfather’s Iver Johnson revolver. My aunt Phyllis had asked me to get rid of it for her; it was in her safe along with her collections of mint crowns and half-crowns, and various bits of family silver including Pop’s ‘Captain’s Cup’ from the Killiney Golf Club. 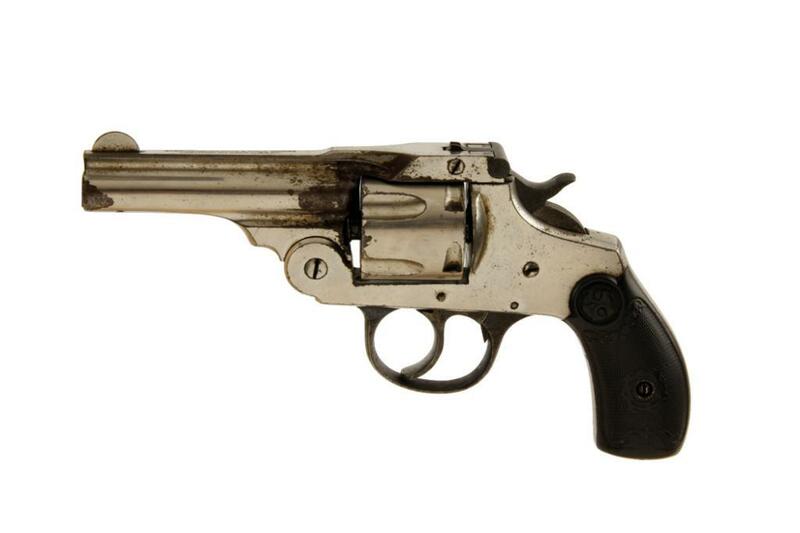 Phyllis and my father had thought of it as Pop’s service revolver, which he had kept after serving in the 1914-18 war, but it must have been one he bought privately; Iver Johnsons were never British Army issue. It was made in Fitchburg, Massachusetts, in 1917, at which time it would have sold for about eight dollars. I doubt whether he could have got away with retaining army property. Ernest Robinson had had a pleasant enough war, I gather, serving as a quartermaster in England and rising to the rank of Captain. He had left Ireland at sixteen to fight in the Boer War, when his father’s coal importing business had gone bankrupt. The old man had had a cycling accident in Blackrock, and while he was in hospital his creditors demanded payment of their outstanding bills, evidently fearing he might die. He paid 12/6 in the pound, that is 62.5%, a figure my Dad always said was far from bankruptcy, at least by late-20th century standards. Any trader who could raise that much on short notice was doing well. In the 1890s the shame of that event was painful, and the three sons of W W Robinson all left for South Africa. My grandfather was the only one who came back; the elder two lost contact with the family and with each other. Dad told me that during the Troubles in the 1920s, when Phyllis and he were children, their father had given them strict instructions never to look out the window if they heard their gate squeak open at night. The implication was that someone on the run might be hiding in their garden. Pop had no sympathy for the IRA, but if possible even less for the Black and Tans. He later told the children that if either of those groups had knocked on his door, he would have shot first and asked questions later. They evidently believed him capable of it; both Phyllis and Dad had a lifelong horror of guns.